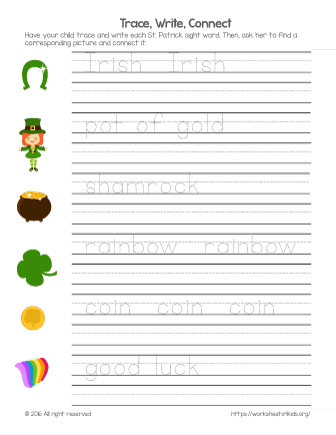 Lacing card is a great activity to strength your child's fine motor skills and promote hand-eye coordination! 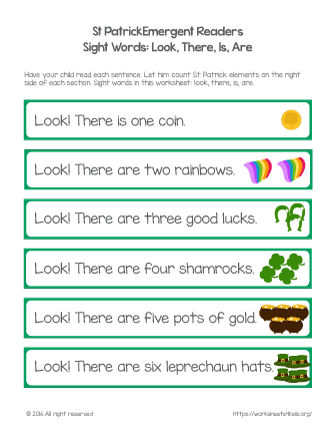 This St Patrick's day worksheet will let your kindergarten students practice their eloquent skills. 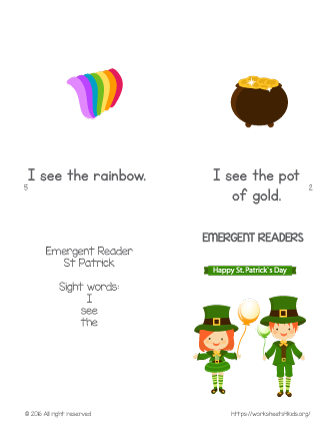 Inspire your students to write St Patrick Day related story and picture their thoughts. 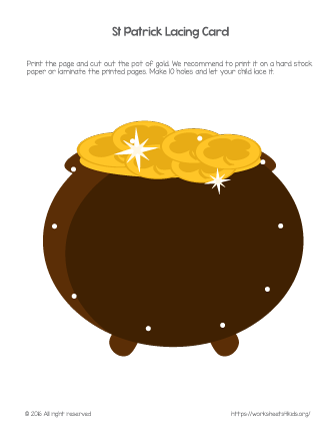 Sounds fun, isn't it? 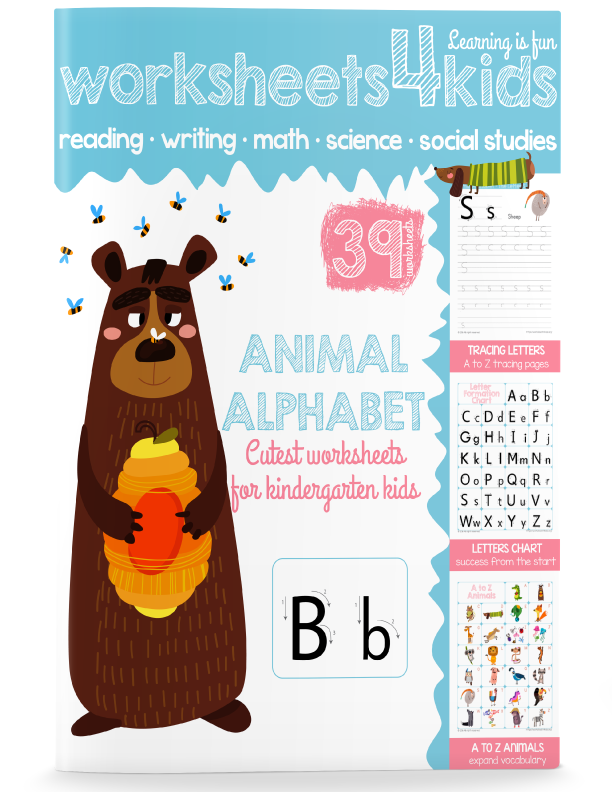 Fun and colorful worksheet to practice writing and learn to explore new words with your kindergarten students. 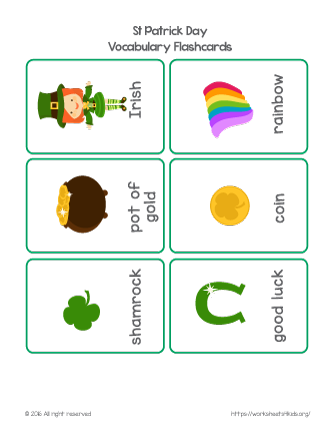 S... is for St. Patrick Day! 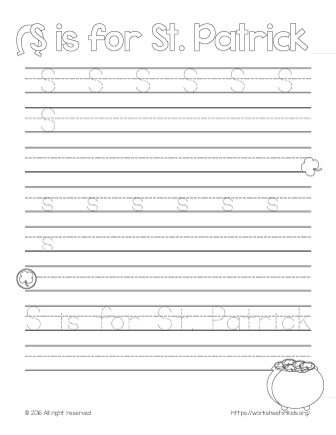 Let your kindergartener trace letter S, explore St Patrick pictures and color the title.